The Christmas party season is just getting going. That probably means you’re taking new bookings every day if you’re not fully booked already. It’s the busiest time of your year so it’s important that you maintain high standards. The level of cleanliness in your restaurant could be one of the key elements of a successful Christmas season. 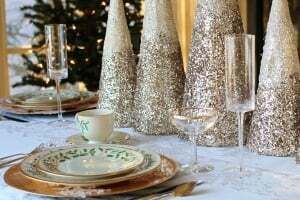 Here’s why your restaurant needs a professional clean during the Christmas party season. We know we’re stating the obvious, but it’s with good reason. During Christmas party season you’ll have people coming through the door who may never have visited you before. They’ll have come to you on a recommendation, or because it’s their work Christmas party. Making a good impression now could gain you a few new customers. Cleanliness is an important factor. The overall effect of high-quality food and great service will be lost if the toilets are less than sparkling. You know those good hygiene standards are of the utmost importance all year round. However, Christmas party season heightens the emphasis. The kitchen is at its busiest and there’s no margin for error. You don’t want to be investigated as a possible source of food poisoning at any time of year, but at Christmas, it would be even worse. The combination of a closed kitchen and bad publicity could be a commercial disaster. We know from experience that kitchens who don’t employ professional cleaners tend to rely on their existing staff to keep everything clean and tidy. That might work well during quieter periods, but it may not be the best course of action during Christmas party season. Everyone in your restaurant, whether it’s a chef, kitchen porter or one of the front of house team, are all rushed off their feet at this time of year. By the time service has finished for the evening they’ll all have been on their feet for several hours. Are you going to put the overall cleanliness of your restaurant in the hands of someone who just wants to go home and sleep? You might have staff with enough energy to clean up at the end of a busy night. However, you might still want to consider hiring a professional. We’ll hazard a guess that when you recruited your staff it probably wasn’t for their cleaning skills. Whilst it’s true that anyone can clean, not everyone can clean to a professional standard. The best cleaners will notice the small details. They’re also experienced at cleaning kitchens that will be checked by the local authority. If you want to be confident that your fridge seals have been cleaned properly, hire a professional. You might think that a professional cleaning company will cost you a fortune. In fact, it could end up saving you money. Professional cleaners will deliver better results in less time, saving you money on both wages and cleaning materials. We think that it’s worth employing a professional cleaner, especially at Christmas (of course we would say that). If you’d like a quote from our specialised cleaning team, just get in touch.